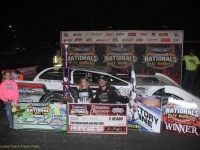 Oakshade Raceway wrapped up a two day racing weekend Saturday night with the 18th Annual Birthday Race/Summer Nationals Finale which was dominated by Jon Henry from Ada, Ohio. 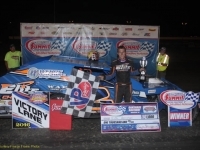 Henry started on the outside of the front row and immediately took command at the drop of the green flag in the 60-lap late model feature event. 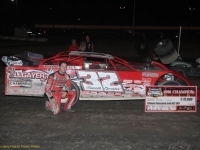 Henry then opened up his advantage over Friday night’s winner Jason Feger. 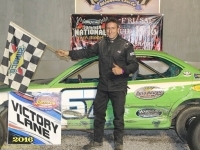 The first yellow flag flew on lap eight when Mason Zeigler slowed on the track. Henry continued to maintain about a three second lead over Feger until lap 47. Feger attemtped to get by Zeigler who had made repairs and rejoined the race and was running a lap down when the two drivers made contact. That brought out the yellow flag and ended the night for Feger with damage to his right front. 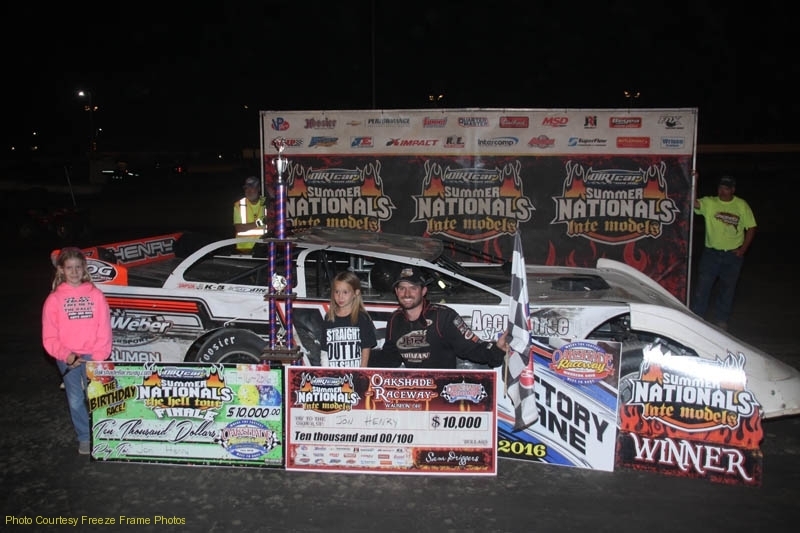 After another caution on the ensuing restart, Henry darted back out to a big lead on his way to the $10,000 Birthday Race win. 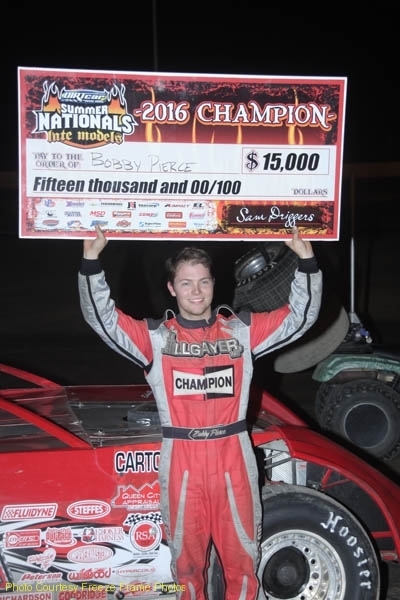 The 2016 Summer Nationals Champion Bobby Pierce from Oakwood, Illinois, finished a distant second in the race followed by Rusty Schlenk and Matt Miller. 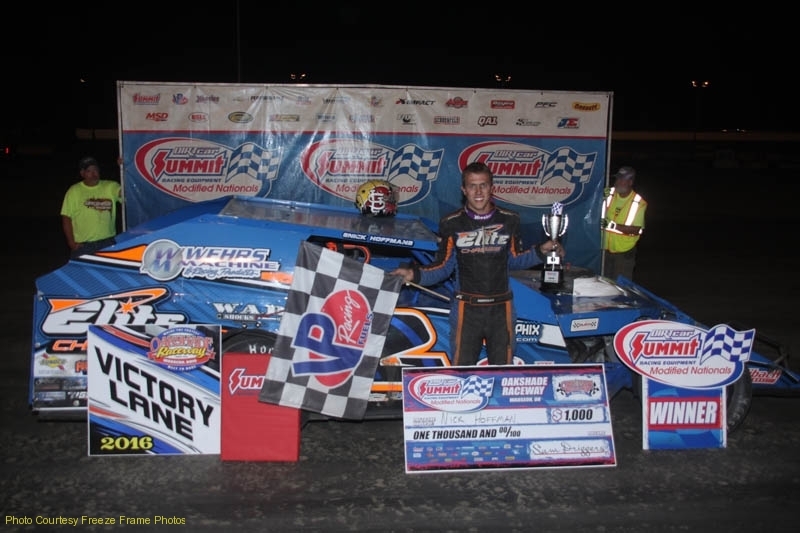 Clarklake, Michigan’s Brian Ruhlman jumped out to a big lead in the Summit Racing Equipment Modified Nationals 25-lap feature event after starting on the pole. A Jon Horner spin on lap nine would tighten the field with Friday night’s winner, Nick Hoffman, in second. It only took Hoffman two laps to work by Ruhlman on the outside for the race lead. 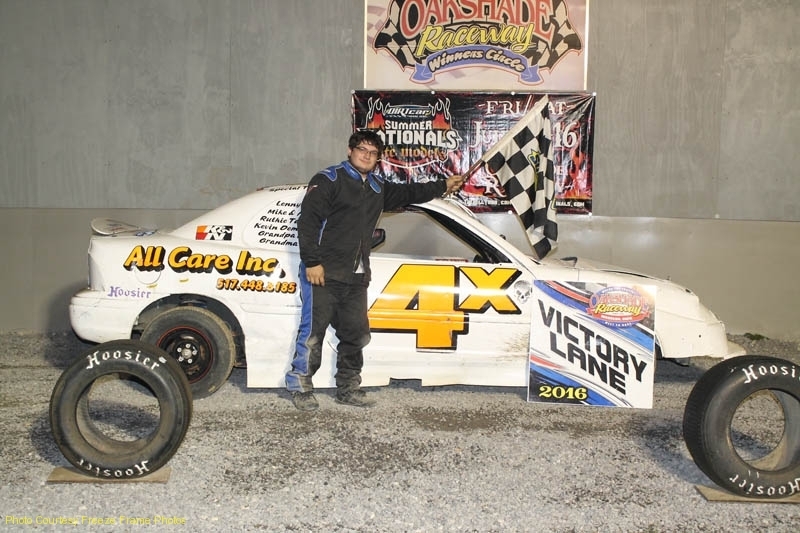 Once in the lead, the Mooresville, North Carolina driver went on to the easy win making it a clean sweep for the weekend at Oakshade. Ruhlman settled for second. 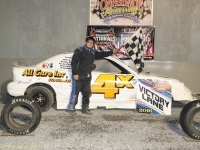 Jeff Foks Sr. started on the pole of the Sport Compact A Main and led all the way until entering turn three on the final lap. Seven time feature winner Richard Riffe had been trying to get around Foks the entire race and found his chance as the leaders came upon the slower car of Paul Miller running at the back of the pack. Foks backed off at the end of the backstretch and Riffe flew on by, taking the lead on the inside. Riffe made contact with Miller turning his car sideways in front of Riffe which allowed Foks to squeeze on by back to the lead coming off turn four. 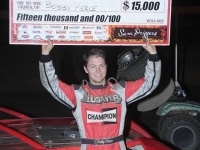 Foks became only the third different Compact A Main winner of the year. 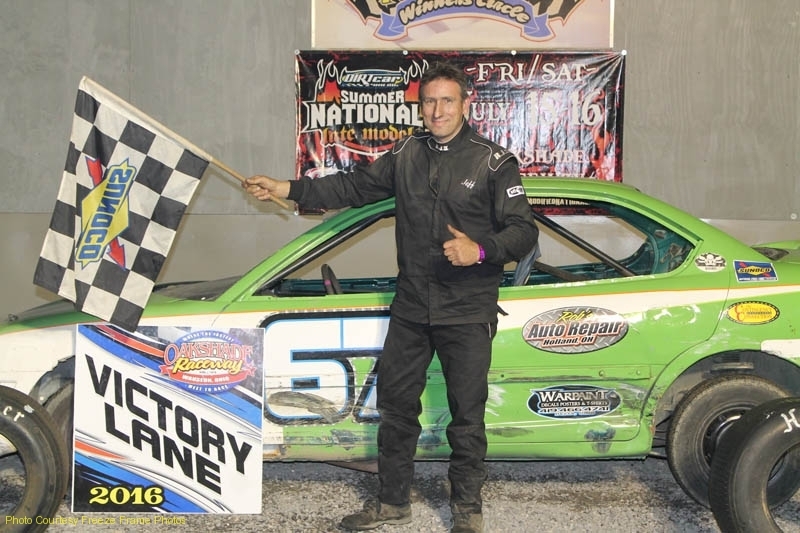 Riffe was able to power through to a second place finish. Aaron Barrick out of Onsted, Michigan started on the pole and led the entire distance of a caution free Sport Compact B Main. 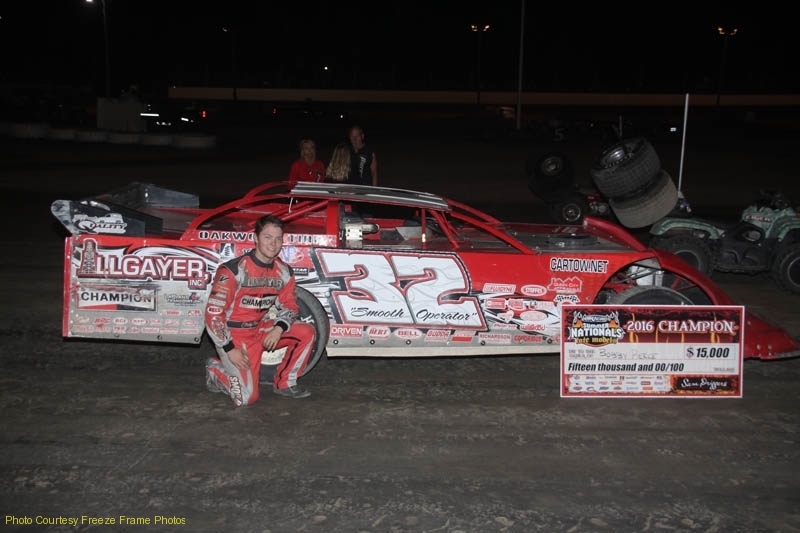 Rick McDaniel trailed Barrick the entire race and made one last ditch effort to catch him in the final corners but came up short and settled for a second place finish. 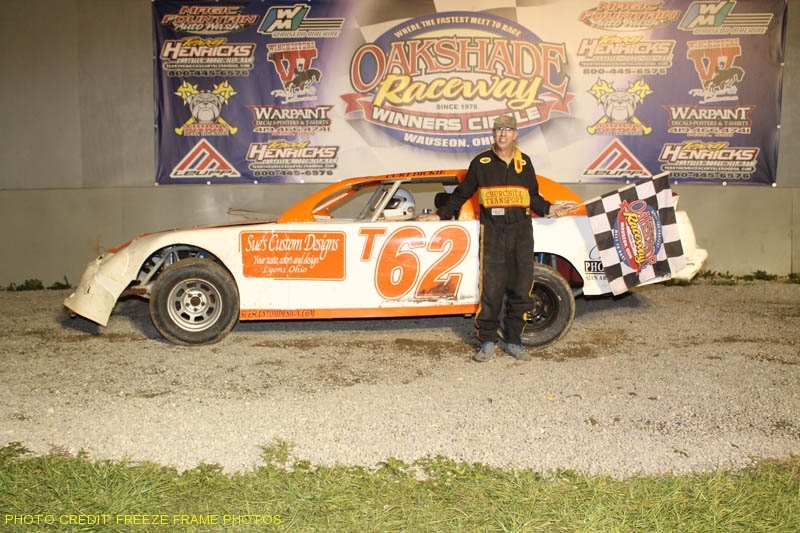 Saturday, July 23 is Wauseon Machine and Manufacturing Night at Oakshade Raceway featuring a full racing program that includes UMP Late Models, UMP Sportsman, Bombers and Sport Compacts. Gates open at 4pm and racing begins at 7pm.